Every now and then, while scrolling through the perfectly polished self-esteem eroding hellhole that is Instagram, one standout post buried within an especially aggressive lineup of interchangeable blogger selfies makes me scroll back up. It’s usually a photo of a bag, and there is usually something profoundly strange about it, whether it’s the staging or the bag itself. Maybe it’s being dangled in front of a wall by a disembodied hand at twilight. Maybe it’s neon green. Maybe the model is inexplicably supporting the entire bag in the weird space where neck meets shoulder. Or maybe the bag is just innovatively ugly or offbeat in a way that offends the eye and demands a double-take. I don’t usually even like the bag in question. But it did its job as a social media hook: it piqued my curiosity, and I dedicated some valuable brain time to it. That’s the foundation of my theory re: the direction many bag trends are moving in. With the fast-paced, scroll-based nature of social media changing the landscape of advertising, marketing, and consumption, brands often have only a fraction of a second to make an impression upon you…and that’s the space in which loud, attention-grabbing social media darlings like Off-White and Gucci really excel. Sometimes I get the feeling that brands are becoming less invested in offering timeless and well-constructed styles, when they could instead become the next splashy, bestselling, viral phenomenon. So as customers, it seems we’re being asked to make more and more allowances for increasingly viral-angled bags despite price increases – in other words, being asked to shell out more and more cash for pieces with less and less wearability or longevity. This is where some brands are losing a lot of us lately. If I had to find a commonality between recent bag releases that PurseBlog readers have been generally unimpressed by, it’s that those pieces have been so eager to stand out from everything in your feeds that they don’t deliver on some fundamental, practical pillars of design. The Saint Laurent Americana collection, the Louis Vuitton love locks and Coddington cats, Céline’s surprising new love-affair with harsh logo hardware, Dior’s eye-popping patterned book totes, and just about everything Gucci has made in the past year and a half spring immediately to mind. And that got me thinking: if I were a designer trying to connect with the widest customer base possible now, what else would I make? And as a consumer, what do I crave that I don’t see on many shelves? Personally, I’d like to go back to basics. Most of the bags I currently love are not new releases, since my preference is for architecture and leatherwork to speak more loudly than embellishment and patterns (so part of me will always feel a twinge of “gone too soon” melancholy about Philo’s Céline). Right now, I feel a sense of brand exhaustion thanks to the saturation of social media feeds with a small handful of over-exposed styles per season, and I hope to see bag offerings return for a while to the kind of nondescript but patrician bag styles that quietly pack a hefty visual punch without screaming anything from rooftops. Some brands, especially giants like Chanel and Louis Vuitton, seem to be invested still in balancing trendier offerings with classics, but I worry the rest of the industry is moving towards viral value too quickly. What about you? 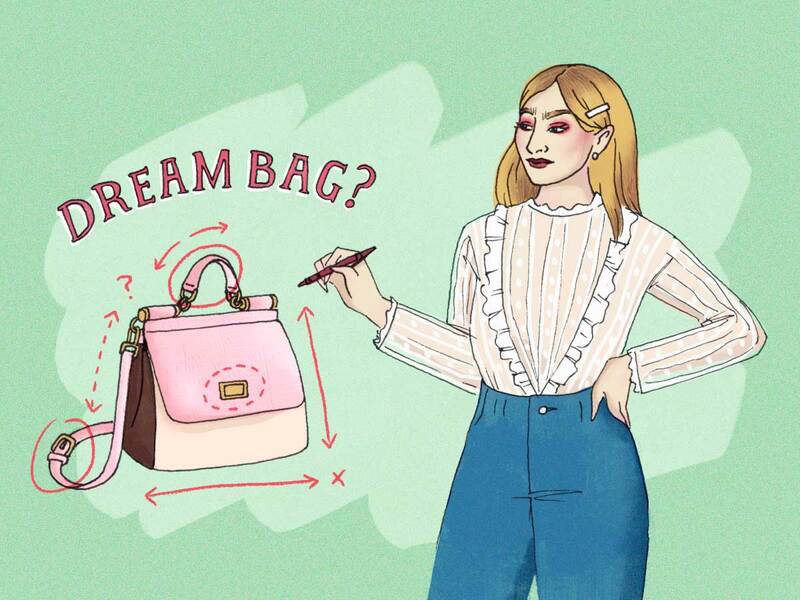 What do you wish designers knew about what you want in a bag?